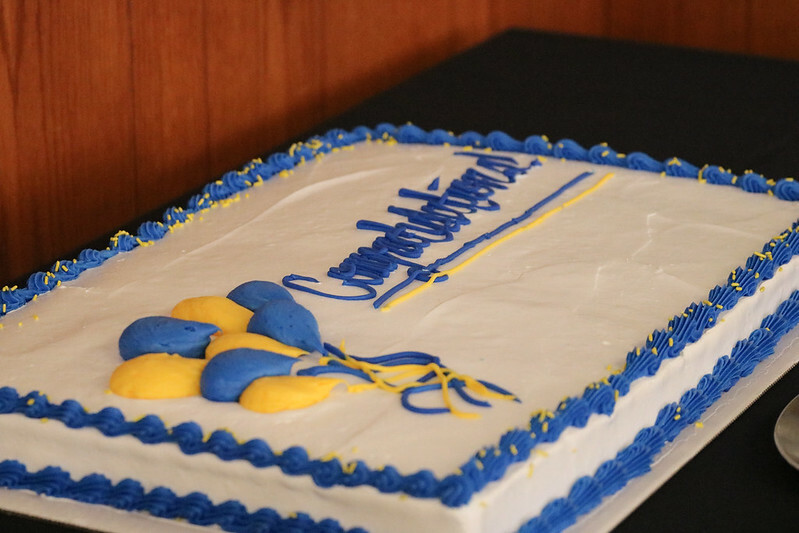 The ceremony celebrated the successful academic year of the school’s top undergraduate and graduate students, including 16 scholarship recipients, the officers of COMM student organizations and graduate student award honorees. Several faculty members were recognized for their efforts, as well. This scholarship is awarded to students who exhibit strong leadership and personal achievement. This scholarship is awarded to students interested in intercultural communication and are participating in a Kent State University sponsored study abroad program. This scholarship is awarded to students in recognition of their academic achievement. This scholarship is awarded to students who exhibit strong scholarly effort and/or service. This scholarship is awarded to students who exhibit strong academic performance, motivation, character, ability, and potential. This scholarship is a book award presented to a global communication studies student who has demonstrated academic excellence and interest in being a citizen of the world through knowledge and action. This scholarship is awarded to a junior communication studies student who clearly demonstrates the importance of communication studies as a discipline and proves that the program has influenced the their view of the world beyond Kent, Ohio. This scholarship honors a junior with a sustained record of academic excellence, a consistent record of community service, and effective leadership. This scholarship is awarded to an international communication studies master’s student who came directly from his/her native country to study at Kent State University. This scholarship is awarded to a student for their second year of the communication studies master’s program who is on schedule for completing the master’s degree and appears to be a good prospect for matriculating into a Ph.D. program. This award recognizes collegiality, leadership, and community-building amongst the graduate students in communication studies. This award is given to a Master’s student who has earned a high GPA, considered excellent by the faculty, has demonstrated satisfactory progress towards degree completion, and is actively involved in the School. This award is given to a master’s student who has demonstrated exemplary performance in teaching. This award is given to a doctoral student who has demonstrated exemplary performance in teaching.